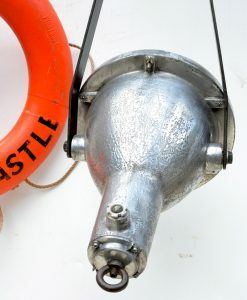 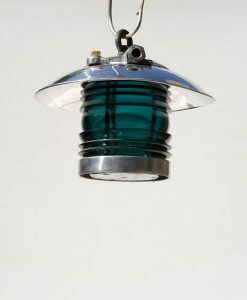 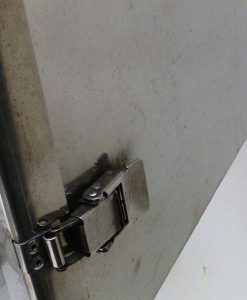 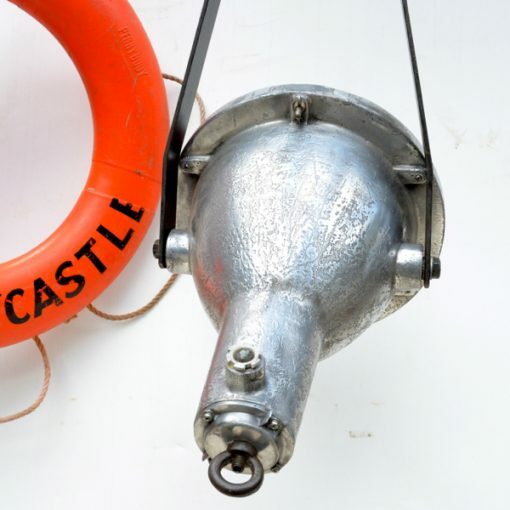 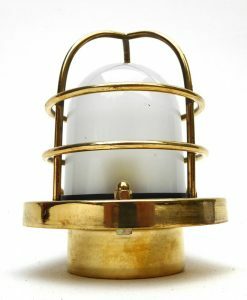 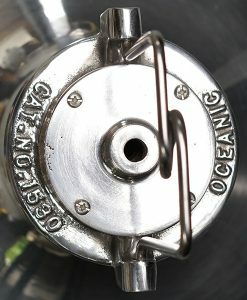 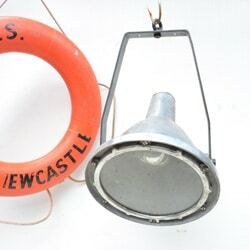 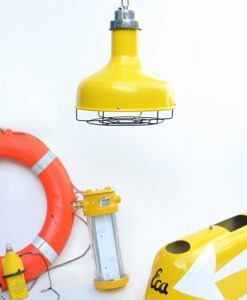 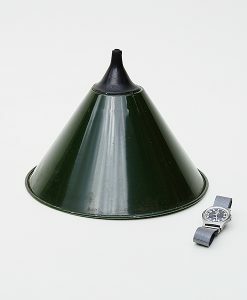 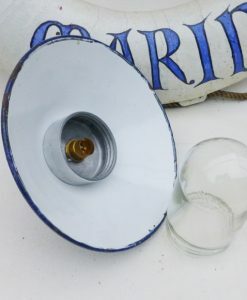 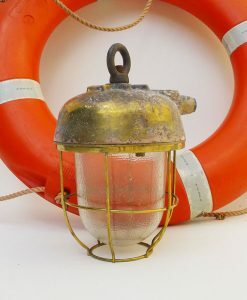 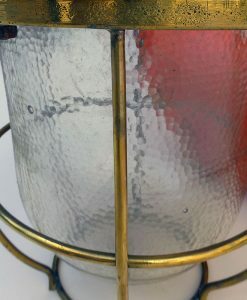 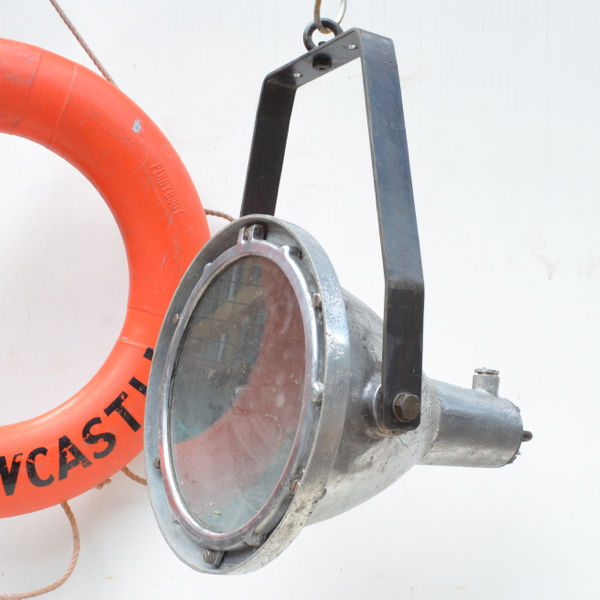 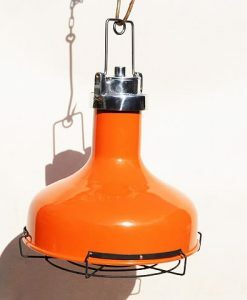 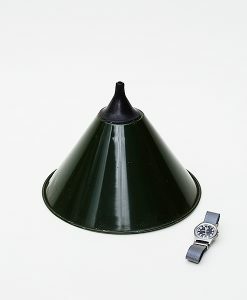 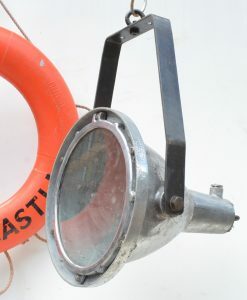 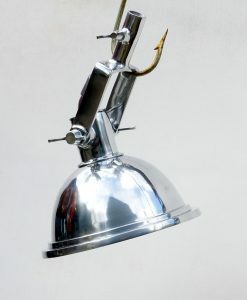 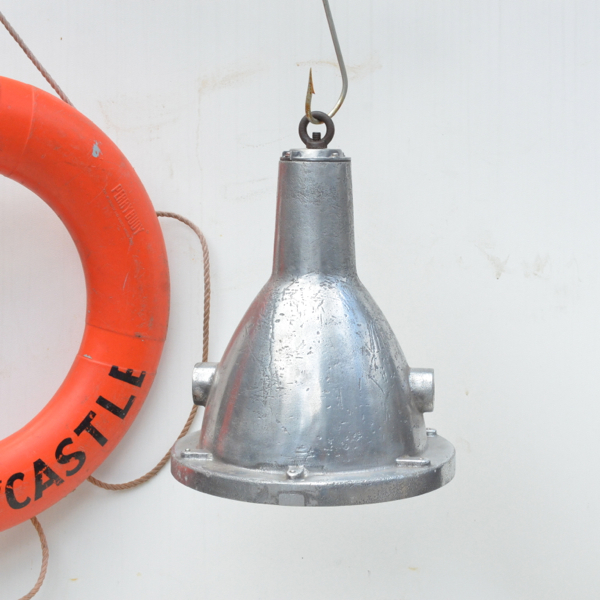 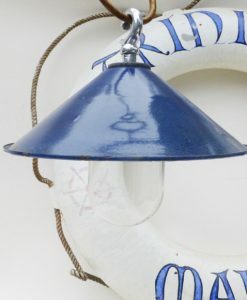 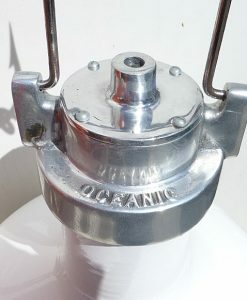 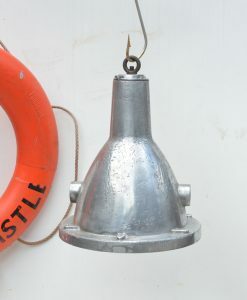 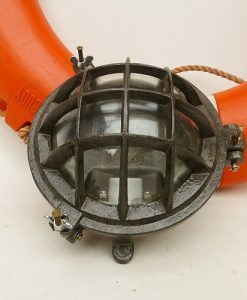 Reclaimed ships aluminium pendant deck light with black suspension bracket. 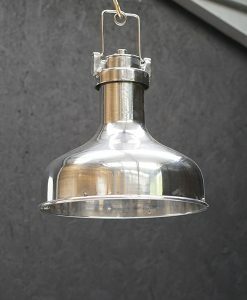 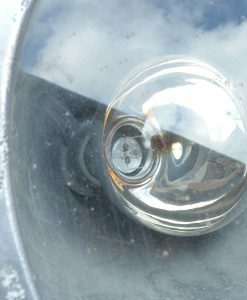 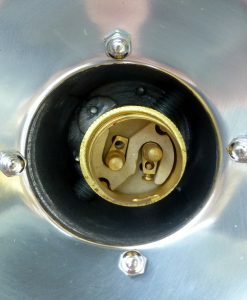 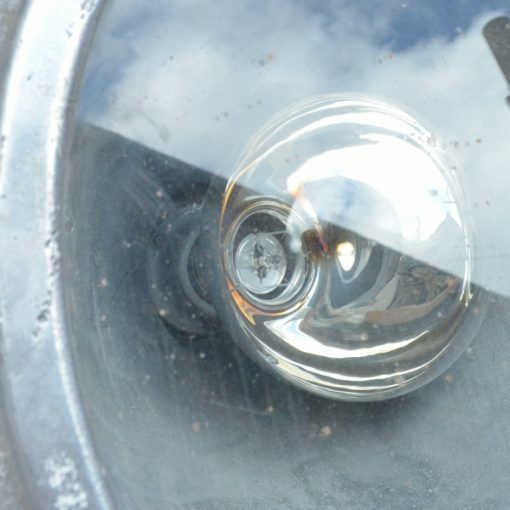 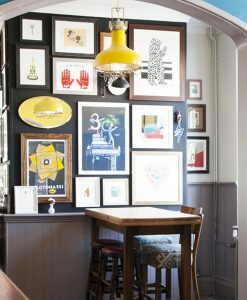 Fittings- We sell reclaimed lights to the trade and public all over the World and to countless different types applications, therefore we supply the light with its original fitting inside which, in this case, is adequate for the UK but may need to be updated depending on what your electricians requirements are. 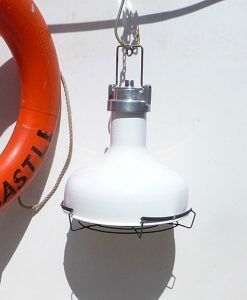 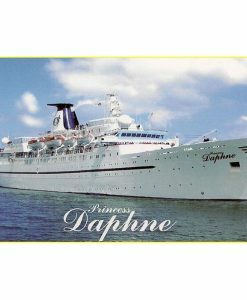 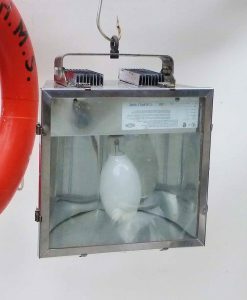 Conversion to any other type of illumination is simple, the beauty of ships lights are that they are designed to be easy to maintain & adapt. 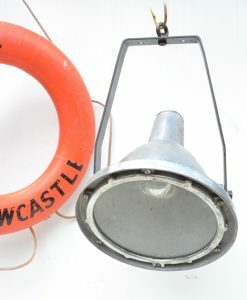 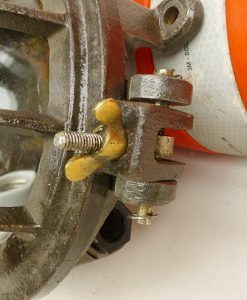 Please note the chain & large fish hooks shown in the photos are not included.